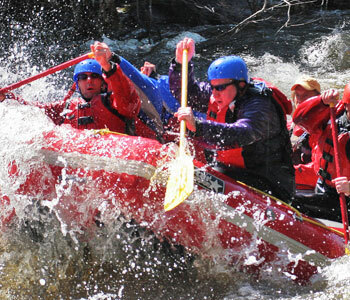 Memorial Day Weekend kicks it all off, not only in a series of upcoming events in the central Adirondacks but this is the true beginning of the 2011 summer vacation season. 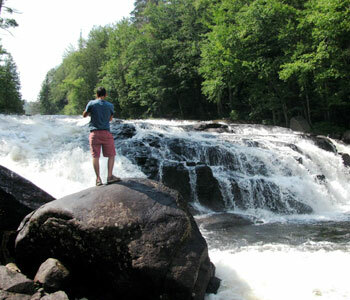 In the following weeks there will be several major events: the Birding Festival, Black Fly Challenge, The Americade and Fathers Day Weekend throughout the Lake George, Indian Lake, Moose River Plains, Blue Mt Lake and Inlet areas. May 26th -31st; Memorial Day Weekend- Everything opens. Bring your boat or rent one: canoe, kayak, speed boat for water skiing, pontoon boat or fishing craft. Camp sites open & golf courses. Take a seaplane ride or go horseback riding, whitewater raft or fish in dozens upon dozens of lakes all around this mountainous and majestic region. 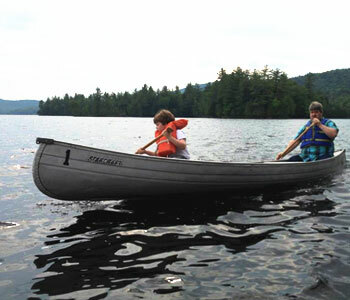 Take a dinner cruise on the WW Durant in Raquette Lake, go to the Adirondack Museum or Cultural Center in Blue Mt Lake or the Wild Center in Tupper Lake. 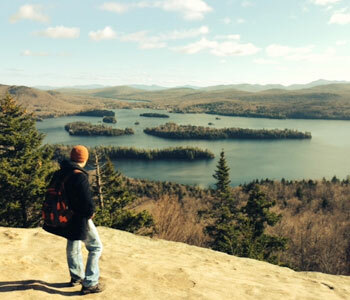 Take a hike on the interwoven NY State trail systems throughout this region or up some of the highest peaks in the Adks in Indian Lake and Blue Mt. 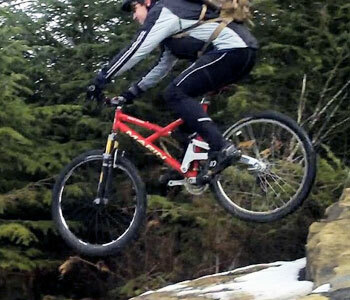 And Inlet offers some of the best Mt Biking in the Northeast. June 4th – 12th: The Americade in Lake George hosts one of the biggest biker events in the country. Tens of thousands of motorcyclists descend upon this well known tourist area each year. Besides having access to all the outdoor adventures, Lake George has shops, clubs, restaurants and some great night life overlooking one largest and most beautiful lakes in the Adirondacks. If you come to this event be ready to party! June 9th -13th; Want a little something more subdued? Come to the 9th Annual Birding Festival in Indian Lake and Blue Mt Lake. Peace, serenity and solitude is on the agenda as you literally get a birds eye view of indigenous wildlife. Your binoculars will not only yield a colorful array of bird species but my even pick up a rare siting of a cotton tail, coyote, coy dog, black bear or moose at a distance. June 11th; Ready for a ride and something more vigorous? Sign up for the Black Fly Challenge- a 40 mile mountain bike event that starts in Indian Lake, continues thru the Moose River Plains and ends in Inlet. Contact the local chambers in Indian Lake and Inlet for all the event details and prizes. June 17th – 19th: Fathers Day Weekend. Get Dad out of the office and into nature. Is he the outdoorsy, adventurous type? Book a room in a rustic cabin, cottage or lakefront resort and spend some quality time with the whole family. 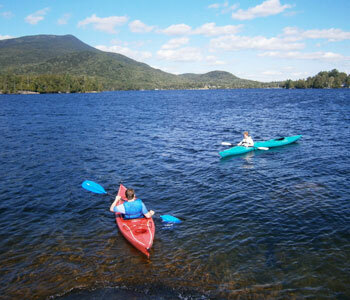 Blue Mt Lake is the central hub of all of this activity where you will find some wonderful lodging. 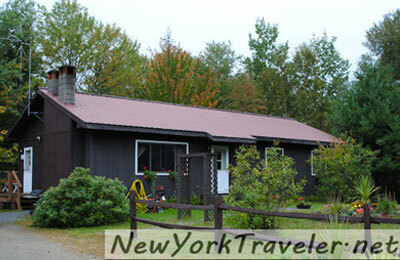 A few to mention- some historic seasonal full service resorts like The Hedges & Hemlock Hall or more moderate, cozy accommodations like Curry’s Cabins or Blue Mountain Rest who was featured in Time Out Magazine, NY. 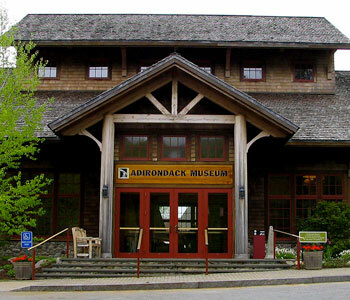 All dressed in Adirondack decor and a great place to give dad a relaxing respite from the everyday. Check out these hot deals! Copyright © 2006-2019 · Blue Mountain Rest · Handcrafted by Studiodog with ♥ · Thank You For Visiting.